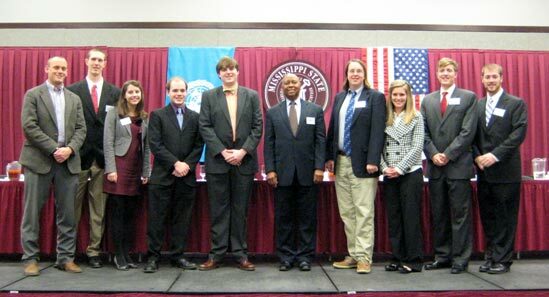 Mississippi Model Security Council (MMSC) is a long-standing tradition at Mississippi State University that dates back to 1979. MMSC is administered through the Department of Political Science and Public Administration. As a Model United Nations entity, MMSC is an academic simulation of the United Nations Security Council that aims to educate participants about international relations, public responsibility, effective communication, globalization and multilateral diplomacy. Serving on the Security Council fares differently from other organizational committees within the United Nations. Many delegates find while the Security Council is very exciting, it is also very challenging and demanding. First of all, delegates have an open agenda whereby they are allowed to discuss any topic that is relevant to its defining mandate. Secondly, delegates must be familiar with other member states' foreign policies as relationship dynamics that occur between one member state and another can greatly change. And third, delegates may be faced with an impending crisis. MMSC is the state's only educational and programmatic conference focusing on international peace and security that provides a well-trained staff of college students who act as a bridge in facilitating high school student's understanding of crucial and long-standing security issues and strategies. The program also offers a relaxed atmosphere that is conducive to an enjoyable learning experience while allowing high school students to be exposed to a college setting. This year marked MMSC's 31st annual conference, whereby its theme was chosen as "Facing the Challenge of Globalization" and was held on Thursday, Feb. 25 through Saturday, Feb. 27, 2010 at the Colvard Student Union. 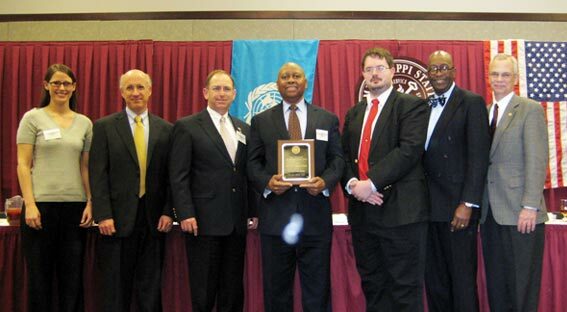 This year's distinguished conference guest was the Honorable Bismark Myrick, who is as former U.S. Ambassador to the Republic of Liberia (1999-2002) and Lesotho (1995-1998). Myrick is also an Army veteran, and has been awarded the decorations of the Silver Star, the Purple Heart, and four Bronze Stars for heroism in combat. He has been inducted into the U.S. Army Hall of Fame. Other special guests at the conference included Dr. K.C. Morrison, Head of Political Science and Public Administration, Mr. Mike McGrevey — Vice President for Finance and Administration, Dr. David Shaw — Vice President for Research and Economic Development, Dr. Jerry Gilbert — Associate Provost, Dr. Nancy McCarley — Director of Shackouls Honors College, Mrs. Frances Coleman — Dean of the Mitchell Memorial Library, Dr. David Breaux — Associate Dean of Arts and Sciences, and Dr. Phillip Robinson — Fulbright Scholar from Ireland. To learn more about the Mississippi Model Security Council, visit their website by clicking here.